Views, location, and style; this one of a kind Beacon Hill residence has it all. Situated along the edge of Boston Common, this 12 story building soars above its neighbors and provides you with uninterrupted views. Upon entering, you will immediately appreciate the luxury finishes and special touches one would only expect to see in a new construction highrise, not a Beacon Hill brownstone. The modern kitchen maximizes space and style with European cabinetry, custom built-ins, and professional grade appliances including a gas range. The open and spacious living area includes beautiful hardwood flooring, a cozy gas fireplace, and custom molding. 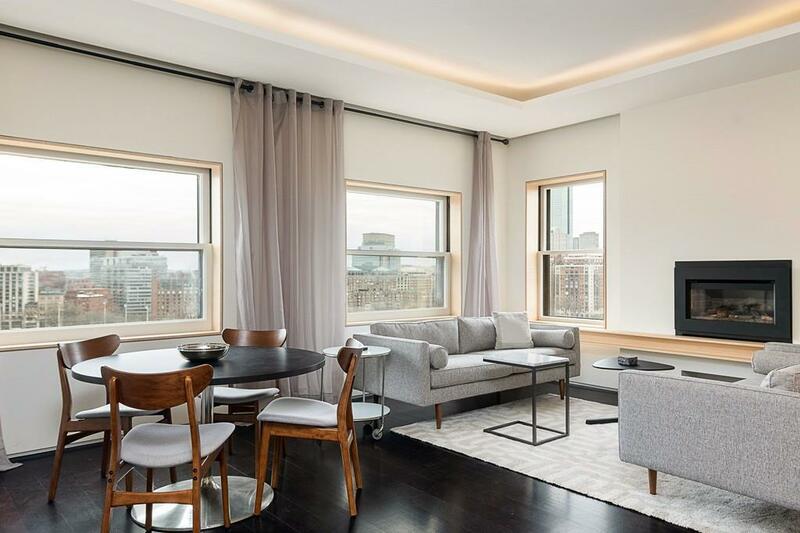 Large windows flood the home with natural light and provide the perfect frame for the stunning views of the Boston Common and ever-changing skyline. The spacious bedroom allows you to escape from the hustle and bustle of city life while the spa-like bathroom provides the same luxury feel youâd expect to find in a Four Seasons hotel suite.